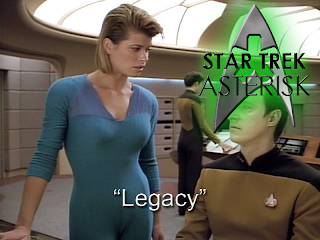 The crew works with Tasha Yar's sister to save a Starfleet officer from a faction on her home planet where there is an unending supply of hairspray. The episode starts with Data, Riker and other crewmates playing a game of poker. Ya know, as you do on the starship Enterprise. After Data wins the round, Riker plays a card trick on him. After going through many steps to discover Data's choice of card, Riker amazes everyone... except Data. Data points out that Riker was able to hold the card he wanted and, thus, attempt to deceive the viewer at every step. 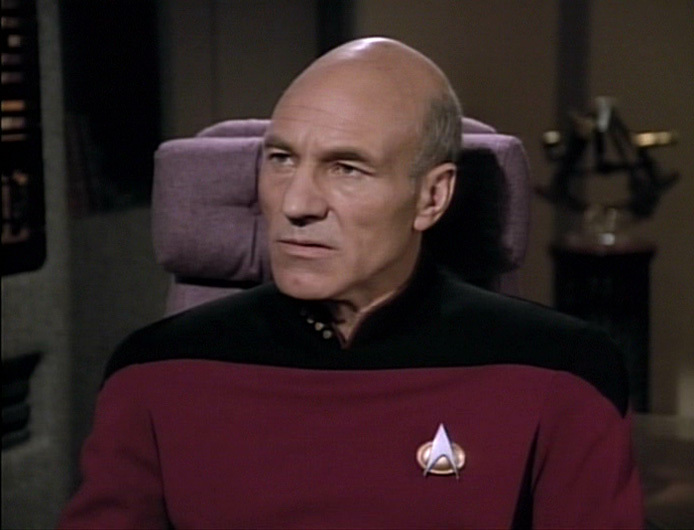 With Riker's magic trick ruined, Data takes all the chips on the table and the crew is called to the bridge. A Starfleet ship has exploded and sent an emergency escape shuttle to Turkana IV where the human colonists promised death to any Starfleet officer that drops in. This was Tasha Yar's home. In an attempt to rescue their fellow officer, Riker takes a team down to the planet. They don't immediately find any familiar uniforms, but they do find Hayne, who is a leader of a group of Coalition forces. And he's just gotten back from a beer run. Apparently, stealing alcohol from the Alliance is what passes for social disobedience on Turkana IV. 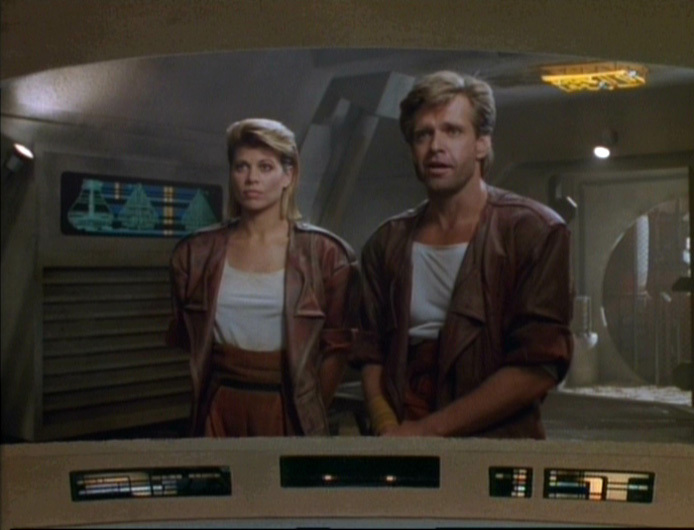 Riker tells Hayne that they're looking for a Federation officer and that a former member of their crew came from Turkana, and then they beam up. Giving Hayne time to look into, not recent crashes, but information on the Enterprise. The next time they see Hayne, he's introducing them to a new friend. Ishara Yar and her smokin' 90s fashion. Ishara beams aboard the Enterprise to help with research and recovery, but they're still a little iffy about her actually being Tasha's sister. They do some DNA checks and, well, they confirm it. She's a Yar. She also has a lot of information about what's going on on Turkana IV. There is the Coalition and there is the Alliance and the two of them are vying for power. The only problem is they're both equally ambitious and powerful. So the war just keeps going on and on. Most of the Coalition also have subdermal beacons in their chest that allow the Alliance to know when they've got company. That includes Ishara. So, when they make plans to go back and find the officer, they take that into account. The plan calls for Ishara to distract Alliance forces with her beacon and draw guards away from the escape pod. So they do that, and all goes as planned. The away team finds the escape pod. There's no one there, but they do acquire information from it. Time to go back up to the ship... but now Ishara's stuck. 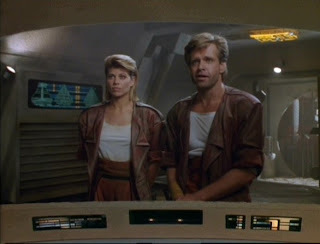 She's in a firefight with Alliance forces, so what does Riker do? Sends the rest of the team back and goes after her. When he saves her, Picard chews him out for making an emotional decision, but then congratulates him for doing a good job. How dare you save people's lives. You see, the whole crew is getting really attached to Ishara. Especially Data. Of course, they feel a connection to her because of Tasha, but she's returning the love and they're becoming friends. Data even explains how his positronic relays have become accustomed to her sensory input. And, ya know, she's really hot, so that helps. Anyway, with the information they received from the escape pod allow them to track the Federation officer, but he's deep inside Alliance territory. If Ishara is going to help this time, she needs to remove her beacon. It's difficult because it's set to explode on contact with air, but Data comes up with a plan to surround it with an inert gas and disarm it. So she's good to go. They beam down to the planet once more and fight their way through a bunch of Alliance to get to the Federation guy. But Ishara runs off on her own for some reason. She makes her way to a reactor core and Data follows her. When she starts setting it to overload, Data confronts her. It looks like she's had an ulterior motive all along. She's going to blow up the reactor and bring down Alliance defenses so the Coalition can attack. If she succeeds, Starfleet would have been responsible for interfering since the Enterprise beamed her down and took out her beacon. Data can't allow that. 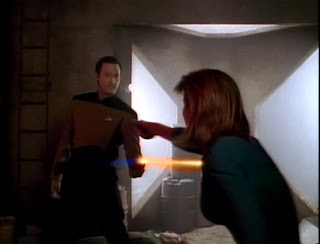 So, with Riker's timely help, he stuns her and stops the overload. Back on the Enterprise, after Data processes that Ishara had deceived him at every turn, Riker has a nice talk with Data about friendship and betrayal. Data says that if one never knows if a potential friend is about to betray your trust, perhaps it's better not to trust them at all. But Riker says it's important to build trust and friendship as part of being human. Data responds that, in that case, perhaps he has it better since he's not able to experience the negative emotions associated with betrayal. But don't worry, he still wants to be human.